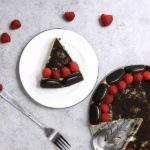 This Oreo Cheesecake is out of this world delicious, and it looks absolutely gorgeous too! I love Oreos and cheesecake, and this time I add raspberries. It totally melt-in-your-mouth and highly addictive! 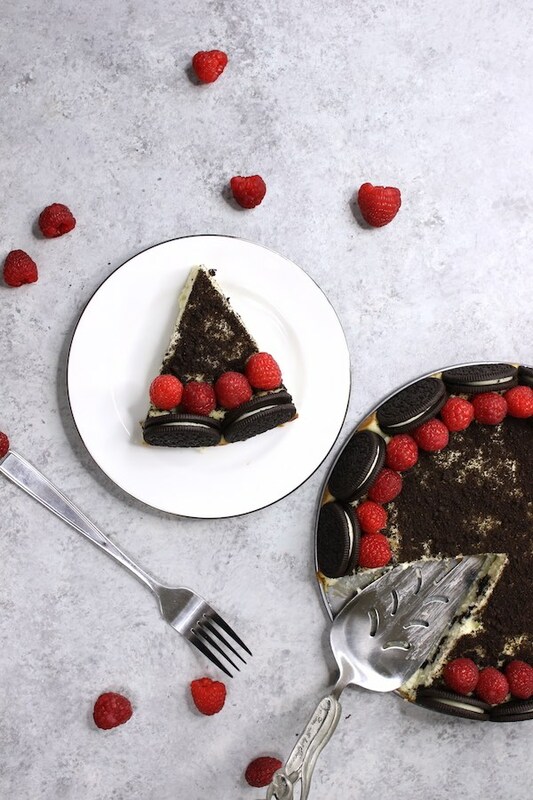 This Oreo Cheesecake with Raspberries is great for a casual meal at home or a dinner party. It’s enough to comfortably serve 8 people and goes well with coffee, dessert wine and the old standby, milk. Preheat oven to 350°F. Arrange 16 Oreos in a 9-inch springform pan around the side. In a medium bowl, beat cream cheese, gradually adding sugar, vanilla, eggs, and greek yogurt, mixing well. Stir in chopped Oreos by spatula. Then add batter into pan. Bake for 25-30 min. Remove from oven. Chill 4 hours in the refrigerator. Place raspberries in a circle along the top. Serve and enjoy! This was AMAZING and so easy! Huge winner among the family. I have a thing for Southern Cooking.